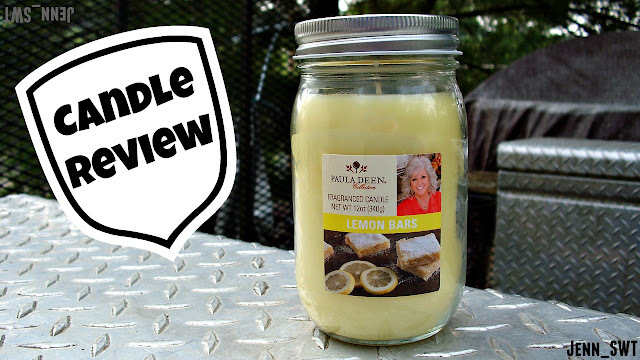 Today, I am reviewing Lemon Bars from the Paula Deen Collection. I picked this one up at Big Lots for $4.50. I have only burned one other candle from this line and it was quite awhile ago. It was from the line that was originally sold at Walmart. It didn't do very well for me at all. The reviews that I have seen for this line have been overwhelming negative. So, I don't have any high expectations. This is a straight up bakery lemon scent. It is equally mixed as neither the sweet lemon or bakery stand out over the other. It is also quite strong on cold. It started throwing after about 5 burn hours and the scent was true to cold. It filled up my small galley kitchen quite well with a medium to medium high throw. It pooled out very quickly and left little wax sticking to the glass. The main problem was that the wick was quite crooked most of the way down which led to a lot of sooting on one side of the jar. It was prone to sooting anyway as the wick kept rolling over onto its self and producing a really high flame. I had to do a bit of babysitting and periodical trimming to keep it under control. I also had a weird bubbling thing happen about half way down. There was something like a hole or void around the wick halfway down. I was sitting at my desk and heard a loud gurgling noise right before the candle put itself out. It took me quite a bit to get it lit again as well. This one threw scent quite well. So, I am very happy about that. That is my number one criteria for a good candle. Overall, I was pleasantly surprised by this one as my expectations were quite low. I wouldn't repurchase this particular one again unless it's on a good sale because of the other issues I encountered. Also, there are scents very similar to this one from other companies that I have tried at a comparable price point that I would purchase instead. I would, however, try different scents from this line especially in this mason jar style. In fact, I've already bought a couple more that I plan to review. *These are my opinions based on my experience with this particular candle. Your experience may vary and so on and so forth. *Not sponsored. It would make this girl's day to be sponsored by Big Lots, but I'm just not that cool. Today, I am reviewing Tropical Breeze and Brazilian Palm by PureScents. I picked this one up at my local Family Dollar for $2. I have never seen this brand before so I don't have any thoughts as to how it will perform. For the price point, I'm not expecting miracles. This is so strong on cold. That is the main reason I had to pick it up. 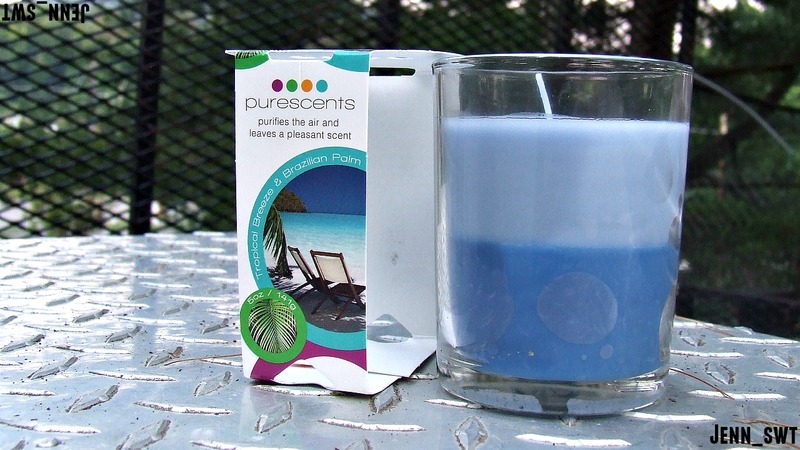 The scent evokes the feeling of the name, Tropical Breeze. It smells like a fresh fantasy beach. It does to this Tennessee girl who has never been to the beach anyway. This one burned really nicely for me on the first scent layer. It burned evenly, didn't tunnel at all, and threw like a candle 3 times its size. It was just fabulous! It filled my kitchen and entire dining room with amazing beachy goodness. Yes! It was shaping up to be a dollar store candle of legend. The second layer was pretty crap. It didn't burn well and tunneled. It also had no throw. UGH. I wish the whole candle was the Tropical Breeze first layer, because it did so well. It was an absolute dream. I would seriously run back to Family Dollar and buy 5 more of these if it was just the first layer. Unfortunately, I would probably just buy them when they go on sale or clearance because of the disappointing second layer. I still think it was very good for the $2 full retail point. I've had candles more than 10 times that price do much worse. I have already completely burned the other two in the collection that my store had: apple something and lavender something. There weren't very good. The lavender burned okay but had no throw. The apple burned terribly and put itself out before even completing the first layer and had no throw. So, if you want to spend your $2 on one, I do recommend this one out of the 3 as the one to try. *Not sponsored. If only, then I could buy more candles. Haha! 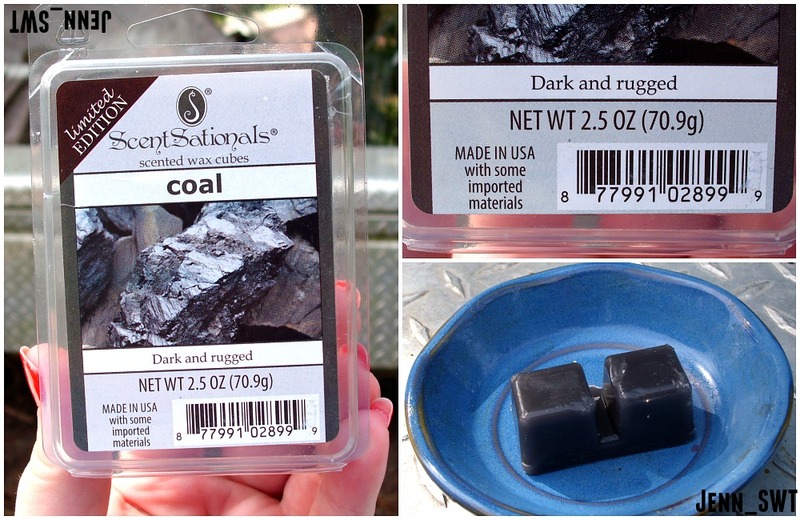 Today, I am melting Coal from Scentsationals. These are most commonly found at Walmart for $2 each. I've melted quite a lot of different Scensationals melts, and they usually do very well for me. I tend to get a decent throw and at least 4 hours of scent. This doesn't smell dark or rugged to me. 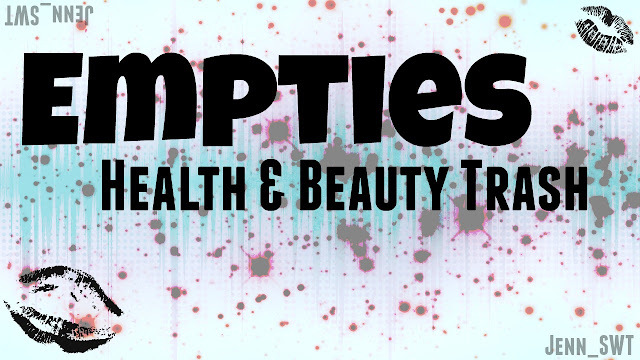 It smells like a health and beauty product targeted toward men. It's like they had a soap in the store with ultra masculine packaging. This is what came to mind for me. My dad said that it smelled just like his Old Spice bar soap. So, there you go. It's more like a clean, masculine smell than a cologne smell. The throw was medium for a Scentsationals melt and pretty true to cold sniff. It filled up my entire living room and creeped just barely into the surrounding rooms. It stayed quite strong for the first 3 hours and then slowly tapered off until it quit putting out any scent. Despite forever gravitating toward masculine scents, this one was quite forgettable to me. It also wasn't as strong as other Scentsationals that I've tried, but it did quite well in my space. I just tend to like a more earthy (think cedar shavings, bergamot, and pine trees) element to masculine scents. I received this one in a friend mail/RAOK from a fellow youtuber, Scents and Cents. You can check out her channel HERE. This is no way biases my review or opinion. It's that time once again where I scour through my polish collection for 7 random polishes to swatch for y'all. I got a pretty diverse mix today ranging in price from $1 to about $12, as well as, a mix of drug store and high end. Can y'all believe we are on #7 already?! Wow! 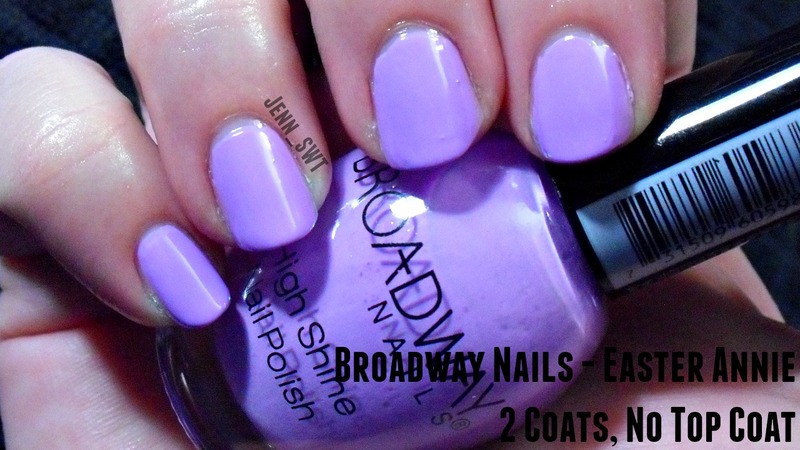 The swatch picture shows 2 coats without a top coat under a daylight bulb. I picked this one up at CVS during one of there semi annual beauty mark down sales. I have seen people finding these at Big Lots and Dollar Tree, too. I was pleasantly surprised by this polish. I didn't have high hopes, because I didn't have much luck with another polish in this collection awhile back. This one was great, though. The formula was very nice, not too thick or thin. It went on the nail and stayed where I wanted it. The finish is also quite nice even without a top coat. 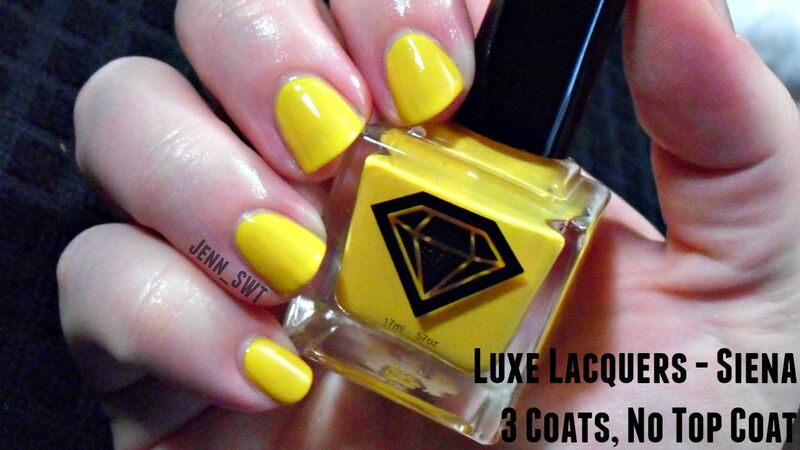 The swatch picture shows 3 coats without a top coat under a daylight bulb. I got this one in the Luxe Lacquers subscription box which is no longer active.as far as I know. 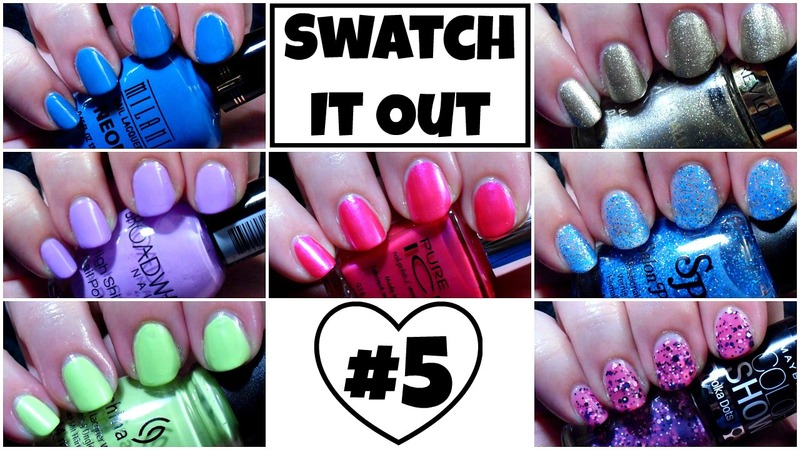 I did do a blog post with still swatches back when I got the box. You can check that post out HERE. I do like the way this one looks next to my skin tone which is rare for a yellow. I feel like that they usually look better on darker skin tones, but this one seems to work for a wider variety. The formula was pretty good. 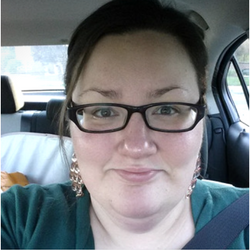 It was just a hair on the thin side if I'm being extra picky, but it was very manageable and not difficult to work with at all. I wasn't too fond of the fact that I needed 3 coats to reach opacity. I wasn't surprised since this is a yellow polish, and they are notorious for having bad formulas. For a yellow, this one did very well. 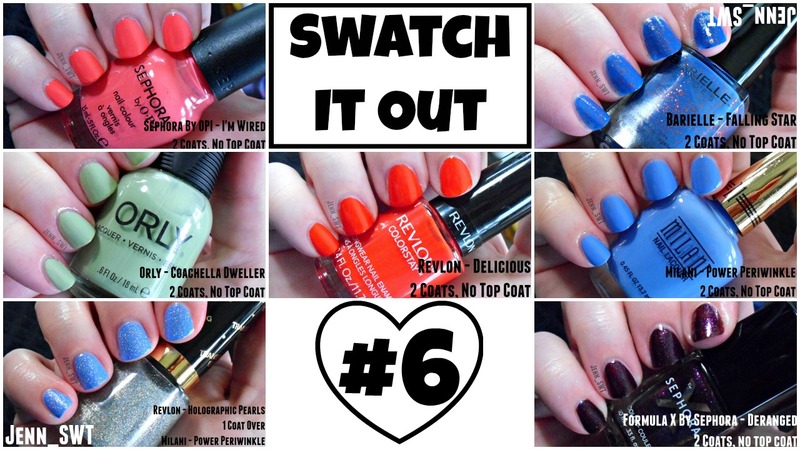 The swatch picture above shows 2 coats without a top coat. I received this polish in a prize mail from a giveaway on Niecy Parham's channel on youtube. You can check her out HERE. She does all kinds of videos, and I just love her channel. 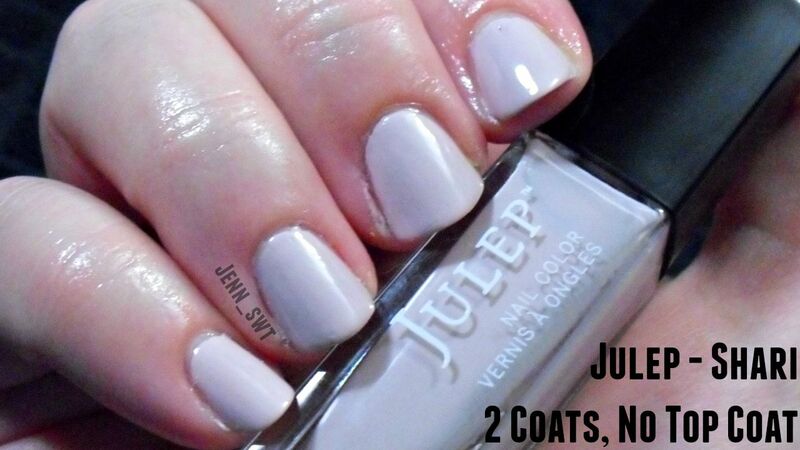 I didn't know what to expect since this was my first Julep polish. I had always wondered about them since so many people get their subscription box. The formula was really good. 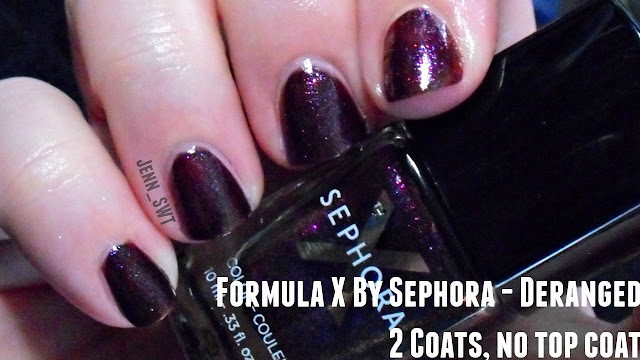 The formula was beyond fantastic if we take into account how light of a polish it is. I swear it's easier to find a gold nugget in a mud hole than a super light polish that isn't streaky as everything. The only thing I wasn't too fond of was the bottle, wand, handle, and brush itself. The wand is super long, and the handle is super short. So, it was a bit difficult for me to manage. I think if I used more Julep polishes that it wouldn't be an issue, but it was awkward for me this first time. The bottle is also super tall and skinny, and I kept knocking it over. Haha! I really loved how the polish looked like on the nail. This may be my new job interview polish. Yes! I picked this one up either at Kmart on clearance or Big Lots for $1. A lot of people have been finding these on sale at drug stores as well. When I was going through polishes to see which one I could donate, I decided to keep this one after swatching it on a swatch stick. I'm not the biggest fan of textured polishes, but I just like this one for some reason. The formula is great. It went on like a dream. It was also almost opaque in one coat. The only bad thing that I can say about it is that it is prone to staining. So, do be aware of that if you go to wear this one. It almost stained my nails through 2 layers of yellow stopper. The picture above shows 3 coats without a top coat under daylight bulb. I picked this one up at Big Lots for $1.80. The formula on this one is pretty nice and easier to manage. It is a bit on the sheer side. Even after 3 coats, you can still see my nail line a bit. I may try this one in a "jelly sandwich" manicure or something later to see how it does. I'm also not the biggest fan of the brushes from this line. They are square, large, and fan out. It makes it a little difficult if you have sad, short, and stubby nail beds like me. Haha! I picked this one up at Kroger in the manager's special bin for around $1. This one has a really nice formula. It isn't too thick or thin, and it's easy to manage. There was just a couple very minor streaks after the 2 coats, but I feel like they would be remedied by a top coat. The wand is really short, and the handle is so bulky this it makes it can make it difficult to apply the polish on the nail. The picture above shows 1 coat without a top coat over a clear base coat. The formula on this one is not too bad. It is slightly on the thicker side but not to the point of being goopy. I've had some glitters that are like trying to get half dried school glue up out the bottle, y'all. Ugh. The formula on this one is manageable, and the glitter pay off is quite nice for a topper. I didn't do any fishing, angling, putting the bottle upside down beforehand, whispering soft encouraging words to it, or anything like that. I got that much glitter by just giving it a quick shake before I started and just placing the brush in there. In the video with live swatches below, you can see what it looks like over Salt Water Taffy. None of these were really bad duds either, thankfully. If I had to pick a winner, I'd pick Entice with Shari and Salt Water Taffy as honorable mentions. 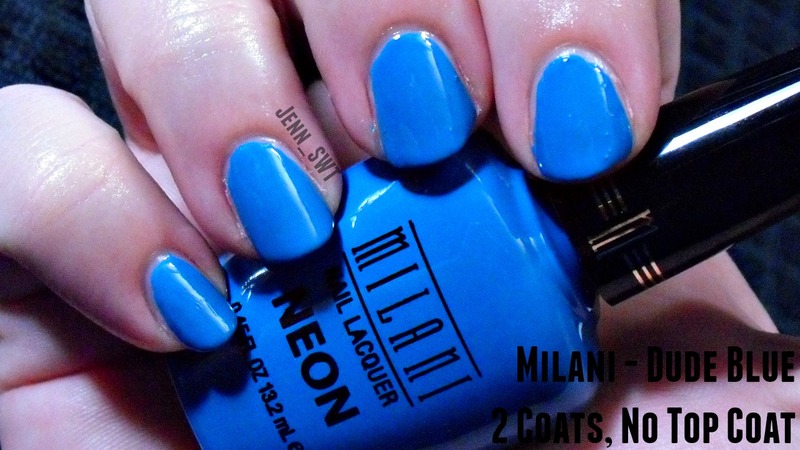 I was disappointed that I needed 3 coats of It's All About Me and Siena. So, I am still on the fence as to whether I am going to pass those along to someone or retire them as craft paints for me to use. I really like the way Siena looks on my nails. The polish struggle persists! Today's candle review is a two for one with Vanilla Lime for Yankee Candle in both the large 22oz single wick jar and the large 22oz double wick tumbler. I ordered these straight from the company's website. They each retail for $27.99, but they often have sales to get the price much lower. I have seen so many people talk about how much they love this brand and get excited about it. The price tag on these definitely tells me that they should burn well and be great quality. I mean, $27.99 for a candle is very steep. Thankfully, me being the cheap skate that I am, I got these at a considerable discount on a SAS glitch sale. I am just very curious to see if these live up to the huge hype. It smells just like the description states. You get a great mixture of lime and vanilla with a hint of sweetness. The lime really lends a brightness to it that makes it more reminiscent of a sweet drink than a cold treat. Let's start with the good things. I got a lot of burn time out of it. There was little soot. The wax was a pretty green color. That's it. Now, let's get into the negatives. It tunneled like crazy despite me burning it for long periods of time each time. I never did get an even wax pool. I never trimmed the wick either. There was no throw, despite it being quite strong on cold. It might as well have been unscented. I tried it in my kitchen, my living room, and my embarrassingly tiny bathroom to no avail. Again, let's start with the good things. The wax pooled out very quickly, and it was a very deep pool. There was little soot. That was all the good. It was an endless cycle to the bottom of the candle. I would light it. Wax pool would form. Shortly after, the wicks would drown and extinguish themselves. I would pour out some wax and relight it. Repeat. As for the throw, it was very light. It was stronger than the large jar above. I was able to smell it in my tiny, pitiful bathroom but not in any of the other rooms in the house or even beside me at my work space. Lastly, it became unsafe to burn once it got close to the bottom. Thankfully, someone commented on a video of mine on youtube warning me that the wicks might travel. Sure enough, I walked around the corner and one of the wicks was right next to the glass. I blew it out, because that is dangerous. No thank you. These were beyond disappointing. I would never repurchase these again even if they were on crazy clearance. I am forever thankful that I got these on such a good deal or I would be livid. It makes me wonder why this brand is so hyped up on blogs and youtube. Is it a brand prestige thing like how people will pay hundreds of bucks for a terrible quality plain white tee shirt with a label slapped on it? Is it because the candles used to be much better several years ago? Is it because a lot of people have only tried a couple different brands? I honestly don't know. What I do know is that the $27.99 price tag on these is just ridiculous. I can get candles everyday for $5 or less that blow these out of the water. It's just not a good start to my Yankee Candle journey at all. It makes me just question a lot of things. 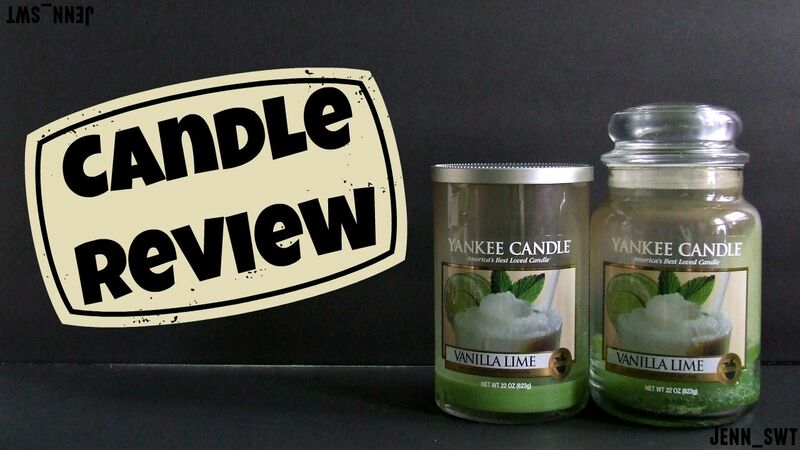 I do have a lot more Yankee Candles that I am going to burn and review. So, we shall see. I'm hoping these were just a couple of freakishly awful duds or something. I will forever try to keep an open mind. In fact, I've already started burning on Strawberry Buttercream in the large jar, and it's already doing 9000 times better than these did. *This is based on my experience with these 2 particular candles. Your experience may be different and so on and so forth. *Not sponsored. I bought these with my own money on a really good glitch sale. The first one that I got in the geometric pattern above is your typical staple bound flat monthly book. It starts in July 2015 and goes until June 2016. It also has a few extra pages for year at a glance, emergency contacts, important dates, and etc. The other one that I got with the 3 hole punched holder was disappointing to me. I didn't look it over enough in the store before I threw it in the cart. I thought it was akin to the flat desk top planners that they had last year. It's actually a clear plastic pocket with the flimsy paper monthly pages inside of it. You pull them out, write on them, and stick them back in there. There isn't even a cardboard backing on the pages at all. They are just stapled together. I will use it regardless, but it just wasn't what I thought it was. I've only ever seen these in the giant wheel for around $10. So, I was happy to find this pack. So, one of the pens in this pack writes like a charm. The other one just doesn't. I can't say anything good about it. I have been using the good one in my planner for the last week. While it writes as smooth as butter, it does bleed through my pages a bit. So, unless you have thicker paper than computer paper, you may want to steer clear of these pens. I had been wanting some of this for a project, but I didn't want to pay the $3 and something I saw it for elsewhere. Score! My dad has been using this stuff, and it's been working for him for the last few months. He used to use the prescription kind and the Pronamel kind before switching. He has super sensitive teeth. So, I hope this continues to work well. My dad loves these things. They also have a lot less sodium than the Betty Crocker and the Progresso ones. My dad loved these so much! So, I went back to buy him more and they were all gone. Argh! I broke the first rule of Dollar Tree! If you see it and want it, buy it! My dad hasn't opened this one yet. So, I can't speak to taste and all that. I will say that the packaging is very messy. There are pieces of the peanut hull stuck all in the crimp and little pieces of crud all over the vertical flap. I hope it tastes good regardless. I wish I would have looked it over better in the store. My candle collection is the biggest that it's ever been at the moment since the semi annual sales just ended. I don't usually keep this many on hand. Wow! Luckily, I burn through them quite quickly. 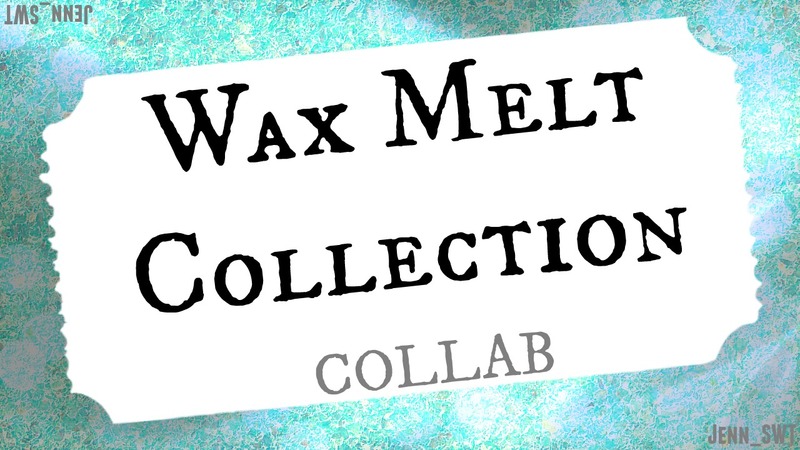 This is Part 2 of a two part collaboration that I did with two other wax obsessed youtubers. We uploaded Part 1 which was our Wax Melt Collections last week. So, let's see just how embarrassing my candle collection truly is. Not sponsored. Not even in the smarmy way where people get free stuff and deny that it reflects in their reviews. Haha! 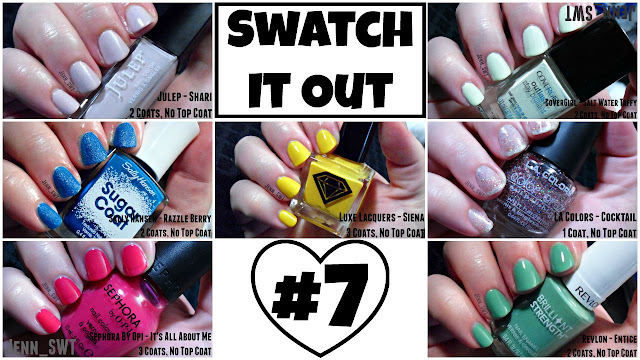 It's time once again to pick seven random polishes from my embarrassingly large collection to swatch for y'all. I got a good mix today of several different brands. So, let's get to it! I picked this one up at Big Lots a few months ago for $1.80. All the Big Lots stores in my area still have a lot of polishes in stock from this line, as well as, gift sets and things. 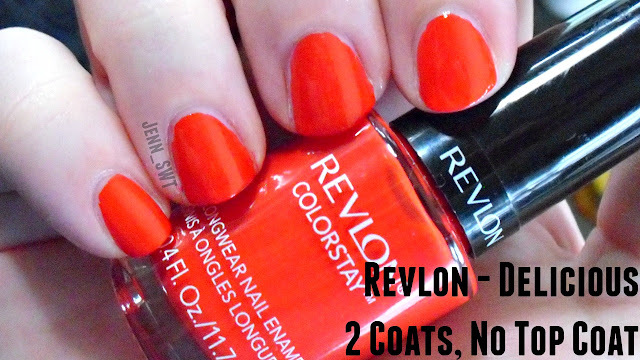 The formula on this polish is great! It's not too thick or thin, and it just glides on the nail. 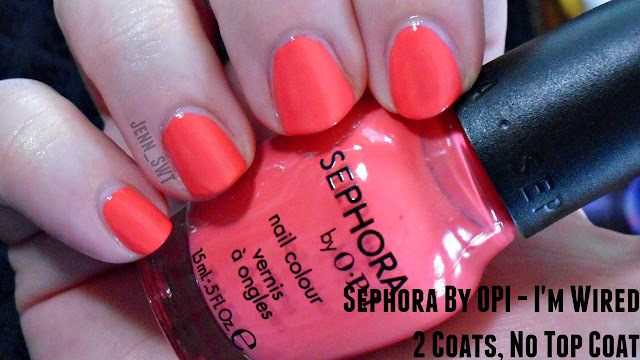 This is one of my favorite polishes to wear on my toes during the warmer months. If I had to nitpick, the only thing that I don't care too much for is the brush. It is long, slightly wide, and completely square on the end. The end also fans outwards. I could see this being a plus for people with long or wide nail beds, but it makes it a bit difficult to manage on my short and stubby nails. I picked this polish up directly from the company's website during an awesome flash sale a couple of months ago. 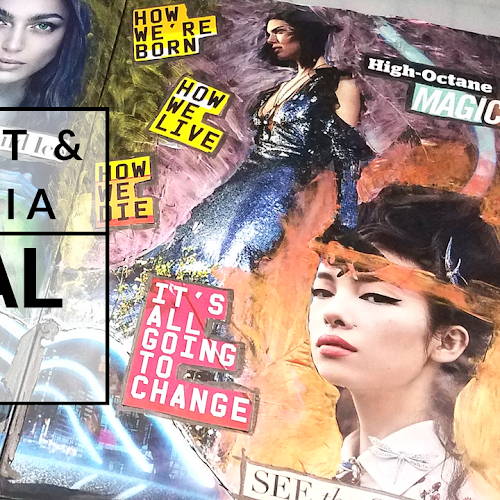 They post great sales often on their social media pages if you are looking for a good deal. The formula on this one is just fabulous. It was the perfect consistency and was easy to manage. I also really like the brush and the length of the wand as well. Thumbs up all around from me. I knew I had to have this one the moment I saw another nail blogger swatch it. I don't have anything else like this one in my collection. I just wish I would have remembered it in time for the 4th of July holiday this year. I picked this one up during a 50% off red tag clearance event at Sally Beauty Supply. The formula on this one is very thin. I would be painting my nails, and a big glob of polish would roll down and get all up in my cuticles. So, I had to be very careful during application. That being said, I was really surprised at how opaque the polish is after 2 coats despite the runny formula. I also just love the color. I think it would suit a huge variety of skin tones. I don't have many Orly polishes in my collection, because I only buy them on really good sales. So, I was excited to swatch this one. I am very happy overall with it. I picked this lovely up from Dollar Tree for one dollar. All the Big Lots stores in my area also carry this line, as well as, the Brilliant Strength line. I had high hopes for this one, because this is one of my favorite lines of polishes ever. I wasn't disappointed in the least. The formula is pretty good. It's a little thinner than some of the other ones in this line, but it isn't so thin that it would tend to run. It glides on the nail with no streakiness whatsoever. Just gorgeous! I will never understand why they discontinued this polish line in favor of the Gel Envy ones. Boggles my mind! I bought this one at Dollar Tree for one dollar. Dollar Tree has been slowly getting in more and more Milani polishes in these older bottles (aka not the new Color Statement ones) for the last few months. My store usually has the ugly colors, but they finally got in some fun ones! 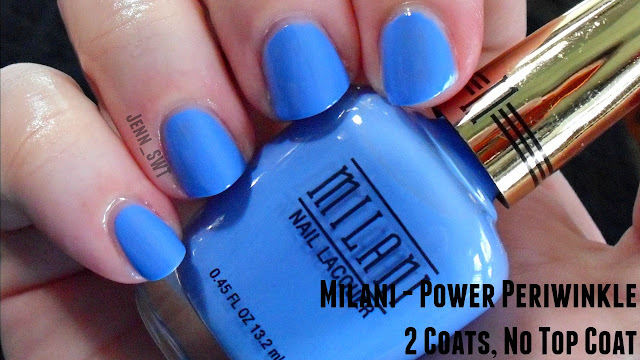 The formula is typical of a Milani creme in my experience: quite runny, but manageable. The brush is long and skinny so it makes for more control in application. It also dries pretty fast between coats. The finish is also slightly darker on the nail than in the bottle. I don't even really like blue, and I fell in love with this color! If I didn't cut my finger today, I would probably be wearing it again. Haha! I purchased this one at CVS with a manufacturer coupon and extra care buck deal. 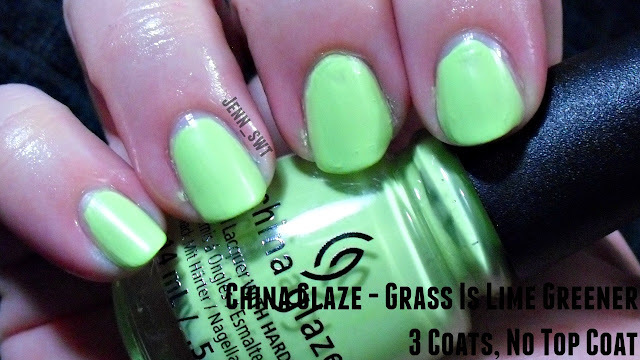 This polish reminds me so much of China Glaze's Fairy Dust. I even put the bottles side by side, and they look almost identical. I'll have to do an application dupe test later on or something to be sure. I do think that you get a denser glitter concentration upon application with this one. The base isn't thick at all. 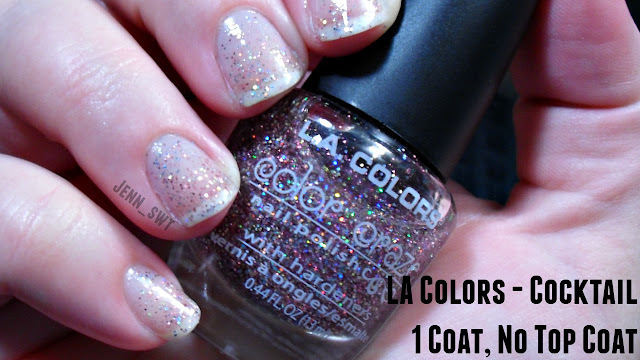 I'm obsessed with this sparkly goodness in a bottle at the moment. I picked this one up a few months ago from Big Lots for $2.50. Most of the Big Lots stores in my area still have a ton of the polishes from this line still on the shelves. First, I just love the color name. It fits me so well. Haha! 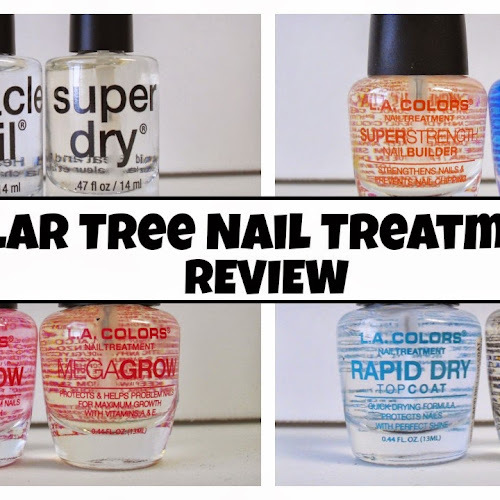 The formula is very nice, good consistency, and went on the nail without any trouble. I hate the top of the bottle, or brush handle with a passion. It's a big and bulky plastic block with a short brush wand. It makes it so difficult to see what you are doing, get a good grip, and maneuver the brush. 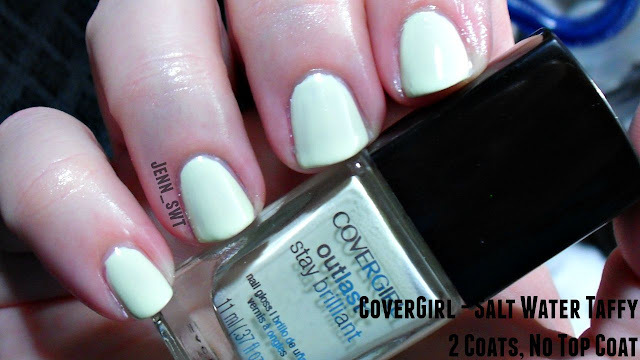 Covergirl Outlast polishes have these awful bottles, too. I just really don't like them at all. I feel like they should pop off like the Butter London ones. I like the color, but it was disappointing. On the nail, it doesn't look anything like it does in the bottle. In the bottle, the color looks to be a sparkling plum shade. On the nail, it is a dark maroon toned brown. I still like it, especially for fall, but it is not near as beautiful as it looks in the bottle. Thankfully, I don't have any duds here. So, nothing that I have to pass on or retire as a craft paint. Haha! I don't really have any stand out favorites either. 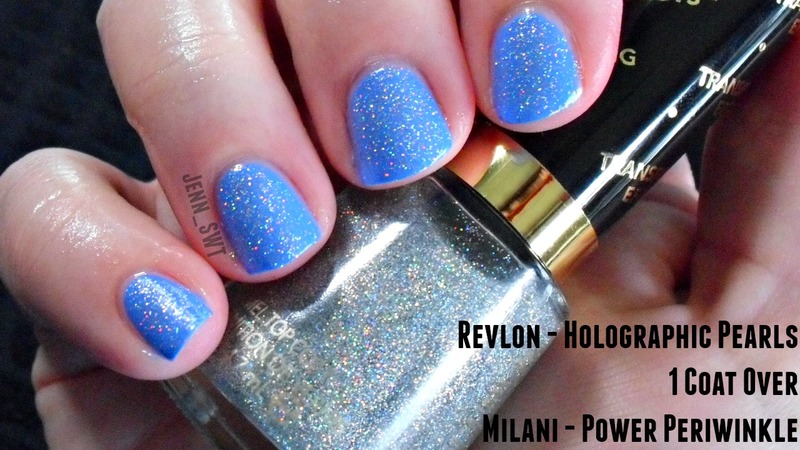 If I had to pick a top 2, I would say the Milani and the Revlon Holo. They didn't make me want to turn flips and roll around in the floor all giggly, though. Not sponsored! I bought all these myself, because I'm a bit obsessed with polish...a tiny bit. 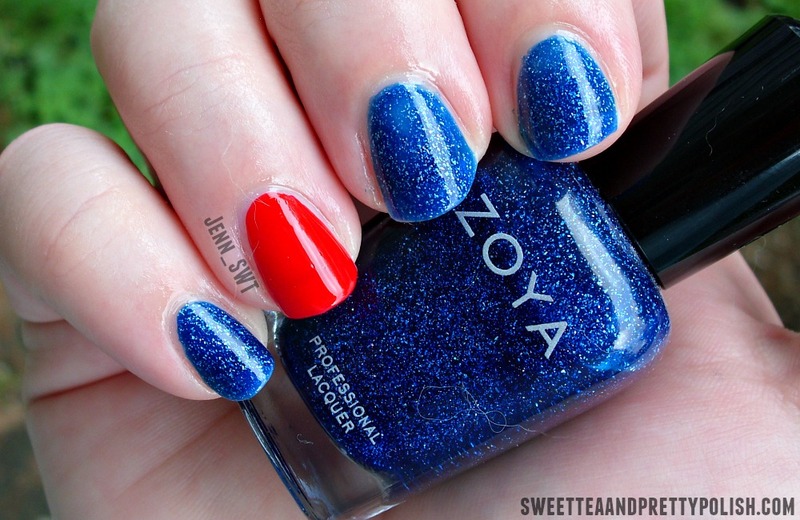 This is what I wore on my nails for the 4th of July holiday this year. This is one the first polishes I think of around this holiday. It is just so perfect for it! The picture above shows 2 coats with a glossy top coat. The formula was just amazing. The polish went on my nails like a dream. The wear time, however, was pretty crap. I usually get close to week out of my manicures with just minor chipping. This polish started chipping off in huge chunks on the 2nd day. So, that was a huge bummer. Zoya polishes are so hit and miss for me. I either get a super long wear time or they are like this one. 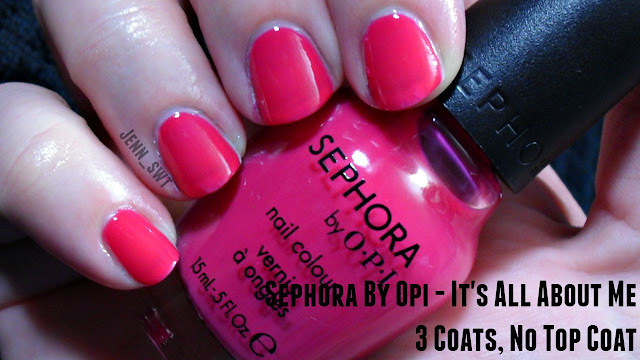 The picture above shows 2 coats with a top coat. I've had this polish for well over a year, and it's still my favorite red that I own. It goes on very well, and I always get a week or more of wear time out of it with very minor chipping. 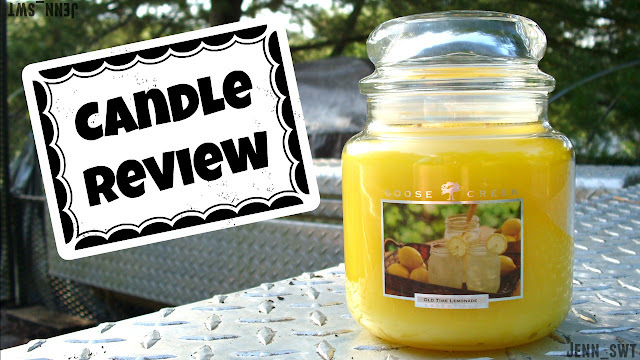 Today's candle review is of Old Time Lemonade in a 16oz medium 2 wick jar from Goose Creek Candles. I bought this one straight from the company's website. It retails for $24.99, but they often have sales. Many people are even able to find them for great prices at stores like Burlington Coat Factory. Official Scent Description: The thirst quenching, bitter sweet aroma of a freshly squeezed glass of lemonade. This is the second candle from this company that I've burned. The first one, Moonstruck, was in a large jar and did excellent for me with no sooting, long burn time, great throw, and a nice even burn. So, I have my standards set on high for this one. It is definitely lemon! It isn't a buttery and sweet bakery lemon that you get in a lot of other lemon candles. This one is on the fence between tartness and sweetness. It reminds me of liquified Lemon Head candy. Goose Creek claims a burn time of 70-90hrs. I did stop burning before it completely put itself out. So, it may have gotten to the lower end of that estimate, but I still think it's a little high. The throw was excellent! It filled up my entire kitchen, dining room, and into my living room. The scent burning was true to cold. This is definitely the lemon candle to beat for me throw-wise at the moment. I will say that the throw lasted until about the 55 hours mark. After that, the scent changed slightly to have a kerosene like note to it, and it was much softer. Up until then, it was an absolute dream. There was an issue with sooting because of one of the wicks being too close to the glass about half way down the candle. So, I wasn't the happiest about that. That was a probably with this particular candle, though. Despite the crooked wick issue, I was very pleased with this candle. My number one criteria for what makes a good candle is throw. I buy candles to fragrance my home. If not, I would just buy an unscented candle with a good burning wax formula. Thankfully, this one burned great as well. Pooled out very quickly leaving no wax stuck to the sides as it burned on. I would purchase this one again in a heart beat for the right price. It's definitely going in my cart when I make another order. Ever wonder what my crazy hoard of wax melts might look like? Go on. Admit it. We're all a little "nosy." HAHA! I'll stop. This is actually the first part of a two part collaboration with two other youtubers. 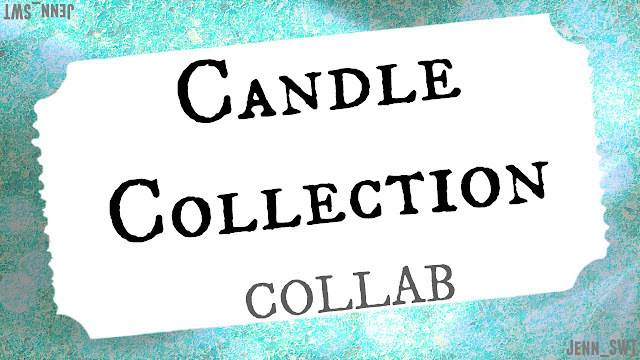 We will be uploading part two next Thursday which will feature our candle collections. Bring your helmet, ready your nose, and stay tuned! 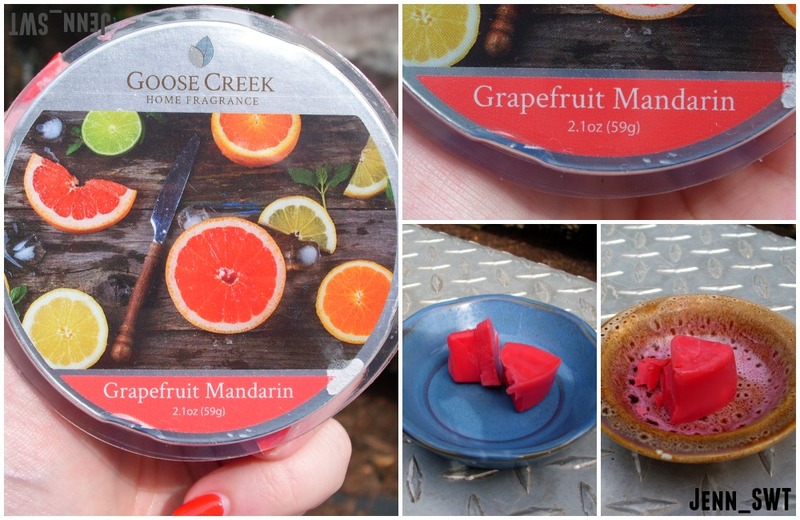 Today, I am melting Grapefruit Mandarin from Goose Creek Candles. I picked this one up from their official website. They usually retail for about $4.00, but they often have good sales. This is only the second Goose Creek wax that I have ever melted. The first one, Summer Sherbet, did pretty well. This is also a softer wax than a lot of the big chain store brands like Better Homes and Gardens or Scentsationals. So, I have high hopes for this one. This smells like straight up grapefruit. Go get a grapefruit, slice it open, and huff it. Such citrus. Very wow. Much smelly. Just wow. Wow. Wow. This one threw like the champ-iest champ that ever champed! It completely filled up my entire house with a wonderful, true-to-life grapefruit and orange fragrance. Even my father, who can't smell to save his life, thought that it was strong. In his words, "I went outside and came back in to be smacked in the face with a dang fruit basket." Haha! This is how I like my melts! It lasted for a long time as well. As you can see from my melting duration above, I got over 16 hours of strong throw out of it. That's unheard of for me and my house! The second melting was still very strong and wonderful. I probably could have gotten another one out of it, but I was ready to throw something else into the warmers. It did fabulous in both warmers: the Scentsationals in my tiny bedroom and the Glade in my living room. Yes!!! This was one of the best melts that I've tried in a long while. I need to pay more attention to Goose Creek. I feel like not a lot of people talk about them, review them, or just concentrate on their candles. I have a few more from this brand left to try. (I did have more, but I gave them as gifts.) I look forward to it. 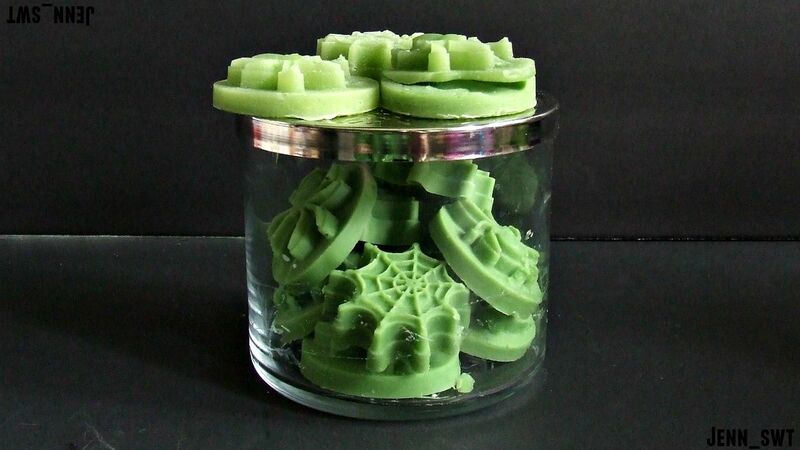 I will be stalking the brand's website for another good wax melt sale so that I can purchase a few more of these Grapefruit Mandarin melts. Just freaking amazing! 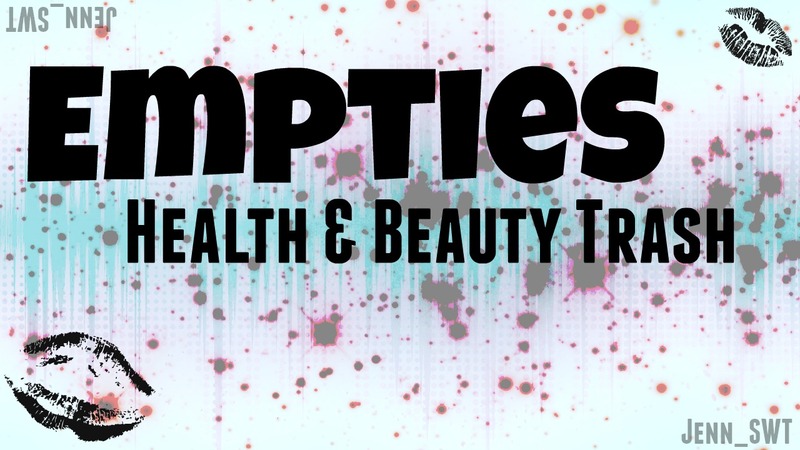 It is time once again to go through the beauty trash that I have collected throughout the month and give mini reviews for each thing before it continues its voyage into the recycling bin. These are my opinion based on my personal experience with these particular products. This is not sponsored in any way and all that jazz. It is once again time to pick seven polishes from my collection to put to the swatch test. I have a good mix today of drug store and high end polishes ranging in price from $1.00 to about $7.00. 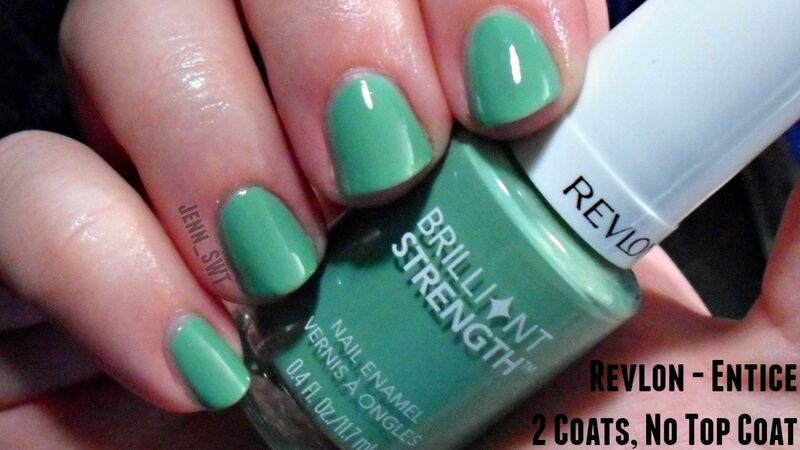 The picture shows 2 coats without a top coat under a day light bulb. I picked this one up at Walmart for $1.97. This polish had a great formula. It went on like a dream. 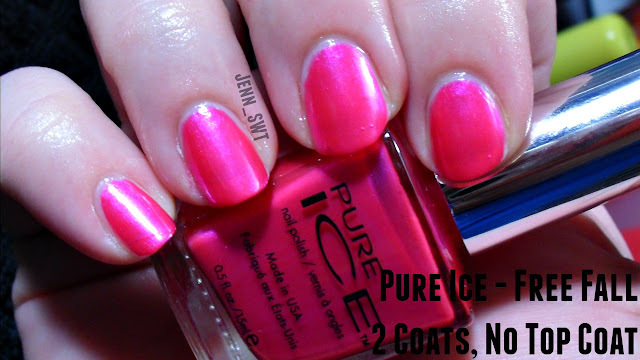 I am forever impressed with the Pure Ice polishes that I've tried. This picture shows 2 coats without a top coat under daylight bulbs. I picked this one up at my local Dollar Tree for $1.00. The formula on this one is a little thin, but it isn't too hard to manage. It does dry really quickly like a neon polish does, but the color isn't neon at all. This picture shows 3 coats with no top coat under a day light bulb. I picked this one up at Sally Beauty Supply. The formula on this polish is the absolute worst of the bunch. It is very streaky, dries too fast, and doesn't go on smooth at all. It is just very difficult to paint with. The above picture show 2 coats without a top coat under a daylight bulb. The shows it a bit lighter and more cool toned than it is in person. I picked this up at Dollar General for $1.00. The formula is great. I've worn this a few times and gotten at least a week's wear out of it. The only con I could is that it doesn't appear to be 3-free and has an odor that could be unpleasant to a lot of people. The picture shows one coat, yes one coat, without a top coat under daylight bulbs. I picked this one up for $1.00 at Big Lots. 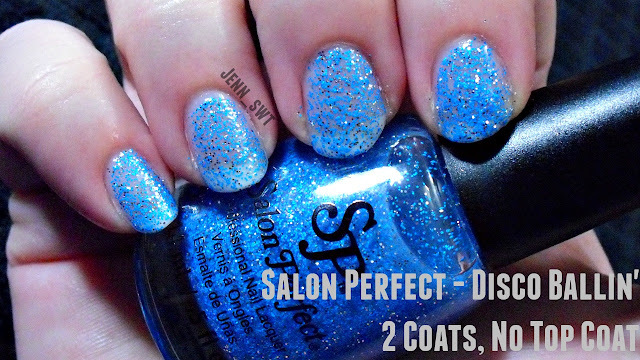 I have seen people find this polish at Dollar Tree as well. I've even seen it for sale at full price at other stores. This is a cult favorite gold metallic for a reason. The formula is fabulous. It's one of my favorite polishes that I own. I picked this one up for full price or about $4 awhile back. 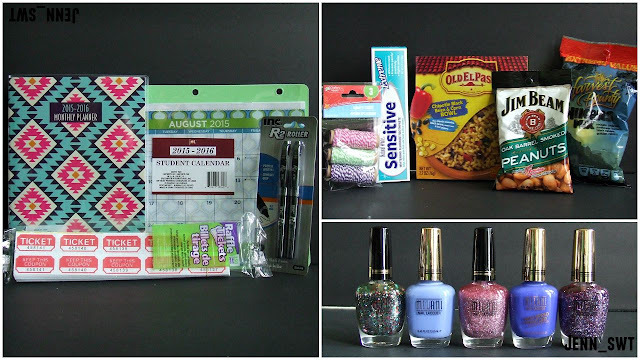 I have seen people finding it at Dollar Tree and Big Lots recently along with the rest of the Polka Dots line. This is one of my favorite polishes in my whole collection. This is actually my 3rd bottle of it, and I still have 1 backup. Haha! 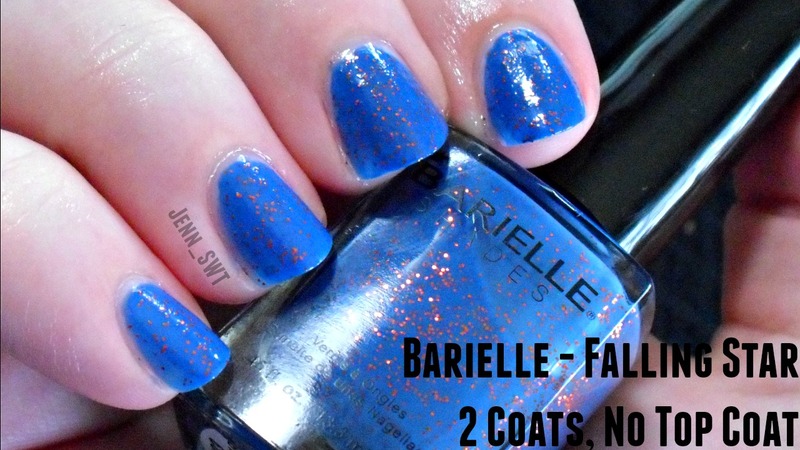 It is just so cute, and one of the rare polishes that is full coverage and not just a topper. The above picture shows 2 coats without a top coat under daylight bulbs. I picked this one up at Walmart for around $4-5. 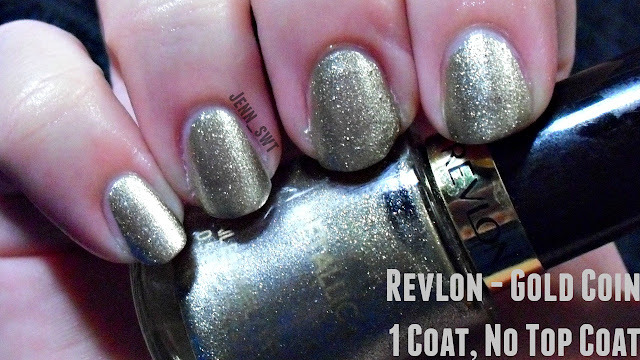 This is the first polish that I have ever tried from this brand, but I fell in love at first bottle sight. I blame it on the upcoming 4th of July holiday. Haha! I was very impressed with it. 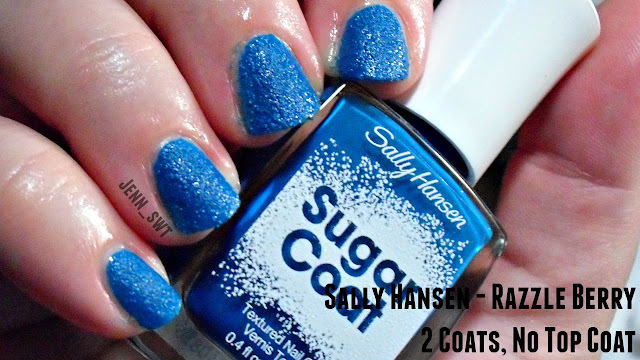 It could be used as a topper or even full coverage with 3 coats.